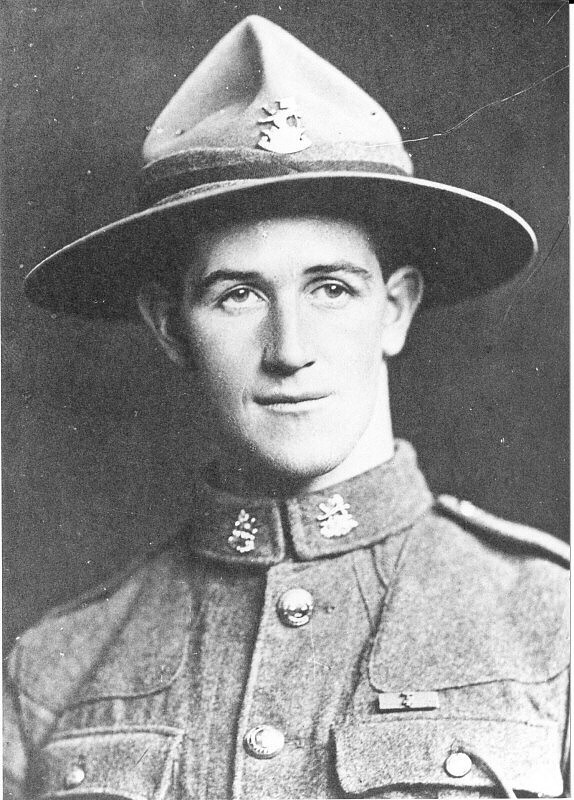 For most conspicuous bravery when in charge of a small party in an attack on the enemy's position at La Bassee-Ville, France, on 31 July 1917.
was unexampled for cool daring, initiative and fine leadership and his magnificent example was a great stimulant to his comrades." and attached troops were captured and taken to Bardia on 25th November 1941. This was not known for certain for approximately thirty six hours. at Omars at 0400hrs and contacted Indian Division who gave Lieutenant Colonel Andrew orders to proceed to Musaid and form a new Brigade Headquarters with himself in command and his Battalion was to strengthen up the line Sollum-Capuzzo. These orders were successfully carried out. On 3rd December the Brigade was ordered to Menastir to occupy the line previously held by the 22nd Battalion, handing over to the Indians. At Menastir the Brigade defeated several heavy attacks by Germans, inflicting extremely heavy losses on the enemy. After 3 days the Brigade was ordered back to take over Sollum-Capuzzo. Owing to the position of the enemy this had now become a more difficult move and the only track from below the escarpment was very narrow and blasting by the Engineers had been going on for three days to make it possible for the transport. However this was successfully accomplished and the Sollum-Capuzzo line taken over again. During this period Lieutenant Colonel Andrew showed outstanding courage, skill and leadership and owing to his efforts the Brigade was brought through a very difficult fourteen days. He handed over the Brigade on 9th December."